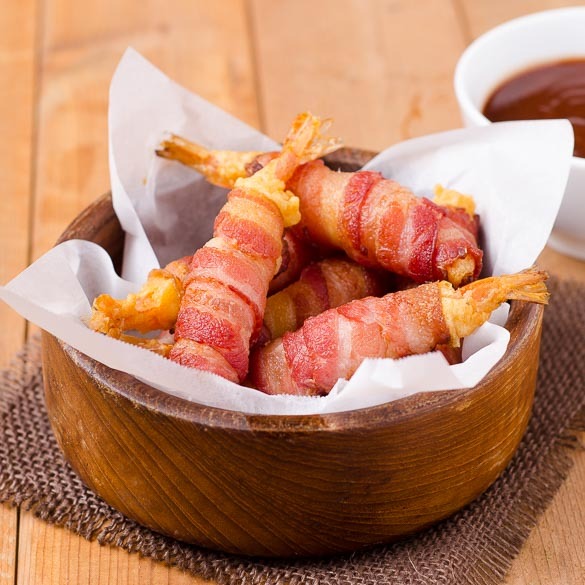 I've been on a bacon wrap craze recently and have been amusing my Sat students with several bacon wrapped appetizers. This one joins my list of super easy ones to make. 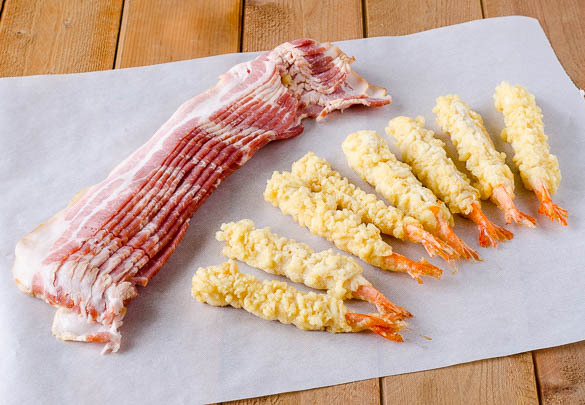 I took some store bought frozen tempura shrimp and added a bacon wrap to them. I cooked them in a 400F pit until the bacon was crispy. Serve with a sweet spicy Hawaiian-style barbecue sauce. Enjoy! 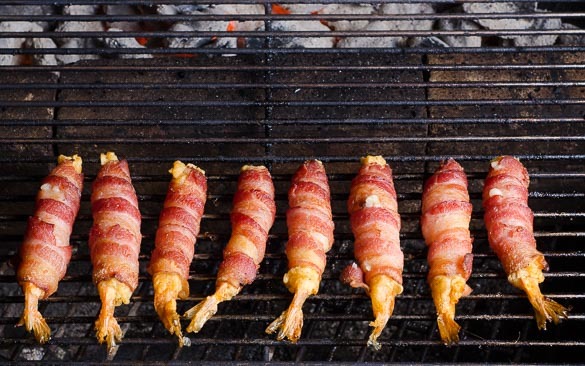 The shrimp rolled with bacon looks yummy1 A must try!! 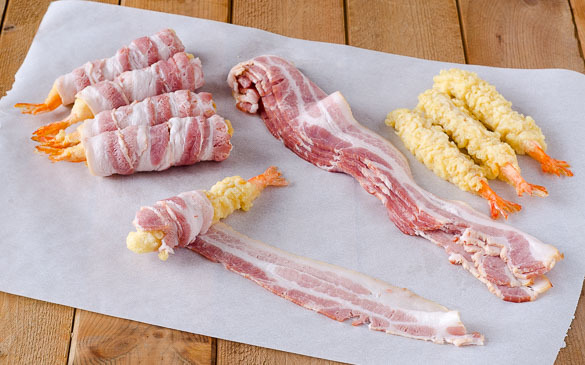 Do the frozen shrimp need to be defrosted, or can I wrap them and put them on the grill frozen? No need to defrost. Good from frozen. Enjoy!